Tried another new technique this week. 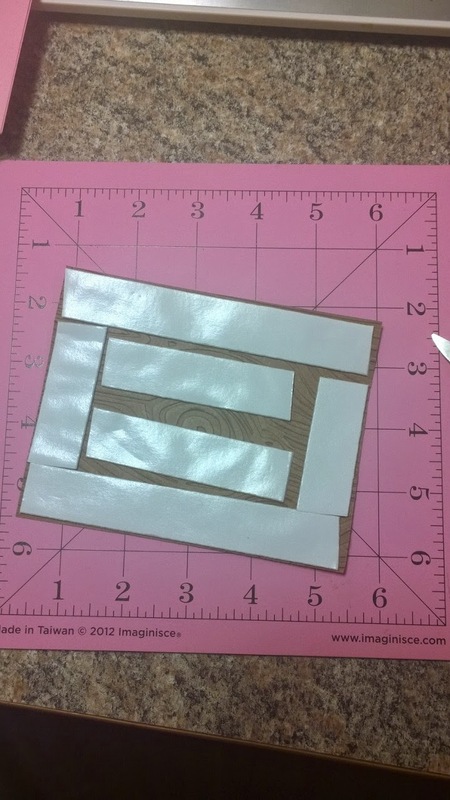 I have an A4 size embossing folder (by Darice I believe) that looks like a tree trunk. 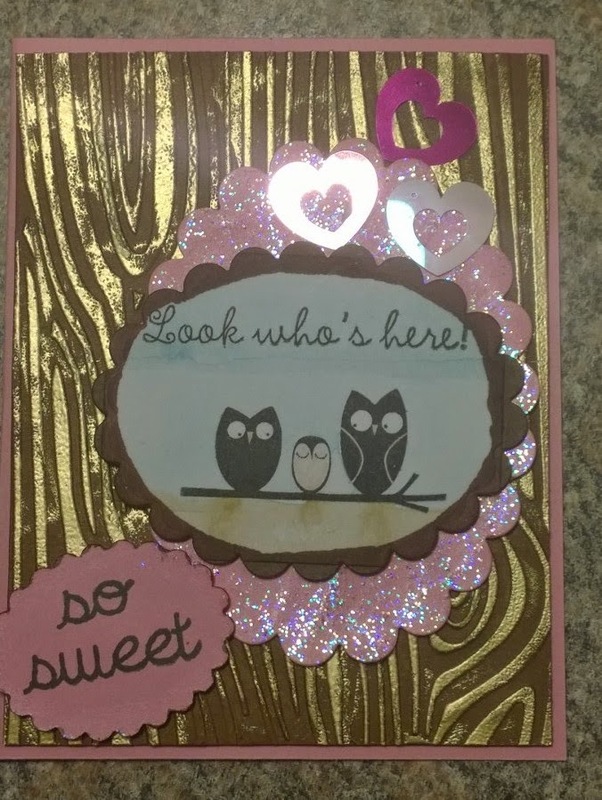 After embossing the paper I wanted to use Versamark ink on top of the emboss finished with gold embossing powder. 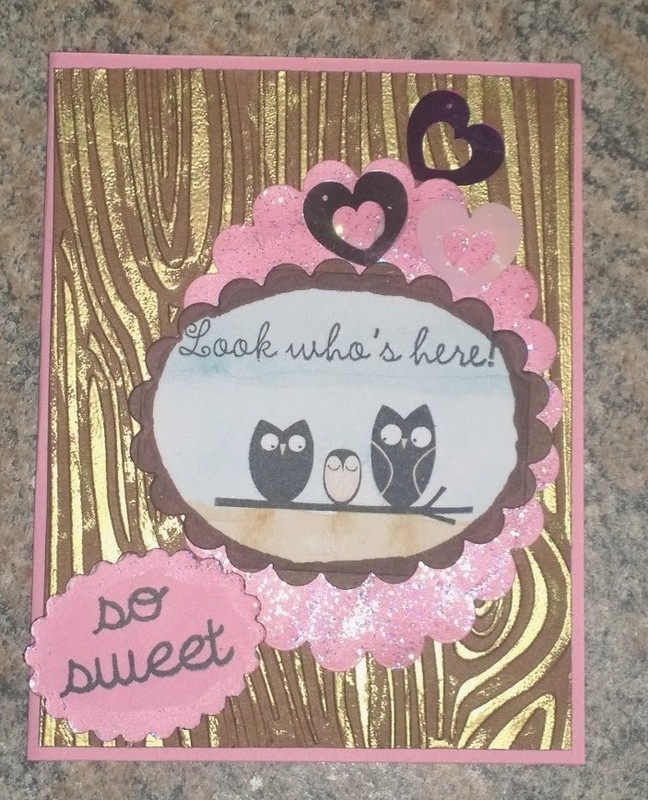 This card was entered into challenges by -Sentimental Sundays, -Crafty Catz Weekly Challenge, (both new beginnings) -Digi Design (Sparkle), -Natalie and Amy's Challenge, and -Polkadoodles (Case It). I am casing my design off of Cindy Messer's adorable mouse birthday card. She used 2 basic colors, pink and grey, and I love how it turned out! I chose pink and brown. 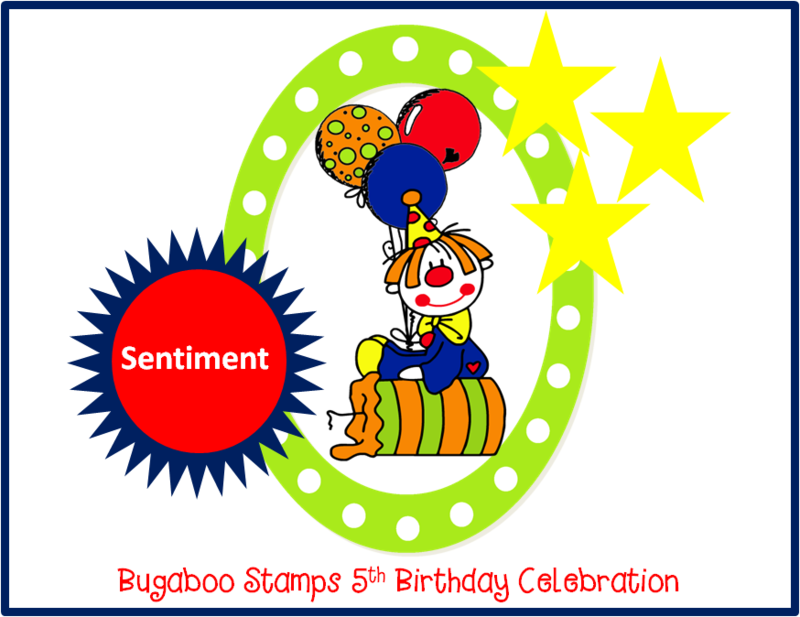 I'm also participating in -Bugaboo Stamps 5th Birthday Bash. Bugaboo's challenge was to copy the following sketch (or layout) when making a card.